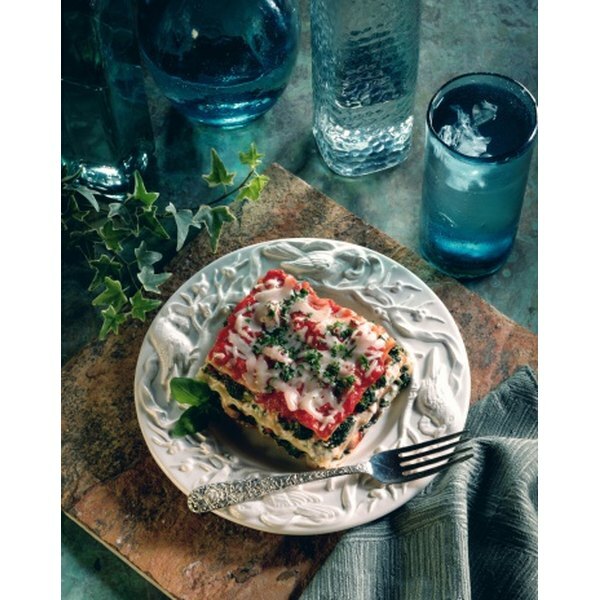 Spinach pairs well with tomato sauce in lasagna. Spinach represents something of a conundrum for a lot of children. On the one hand, Popeye likes it, and that's pretty cool. On the other hand, once it shows up on a plate, most kids seem to regard it with grave suspicion. Admittedly, to the untutored eye, a "mess of greens" just looks like a mess. As we grow older, most of us come to appreciate spinach's versatility, whether delicate baby spinach or mature leaves. Spinach is one of the most widely consumed of leafy green vegetables. It is native to Central Asia, and from there has spread throughout the world. Spinach is a cold-weather crop, flourishing best in the spring and fall. During the summer's heat it is prone to bolting, or going to seed. Spinach is highly productive and has a more subtle, neutral flavor than most greens. This makes it unusually versatile, and adaptable to any cuisine. The mature leaves of spinach are generally harvested when three to six inches long. They may be smooth or crinkled, depending on the cultivar chosen. Most cultivars produce leaves that are too thick for salad use at maturity, with a chewy texture. For this reason, mature leaves are generally cooked. Preparation consists largely of rinsing and washing the spinach well enough to remove the sandy grit that accumulates in the leaves during cultivation. Once the leaves are cleaned, cooks pinch off the stringy stems to prepare the leaves for cooking. Baby spinach, as the name implies, is standard spinach leaves harvested when they are young and tender. Some cultivars have a slow growth habit, which allows them to be harvested as baby spinach for an extended period. Baby spinach is typically harvested when the leaves are approximately 1 to 1 1/2 inches in diameter. Baby spinach is delicate enough in flavor and texture to make an excellent salad green, but can also be cooked. It is usually sold prewashed and ready to use, and the stems are fine enough that they do not need to be removed. The delicate leaves of baby spinach are most commonly used in green salads, either as part of a mesclun mixture or the main ingredient of a spinach salad. They can also be combined with other baby greens or sprouts to make a salad, or as garnishes on another food. Mature spinach is generally cooked. It can be sauteed in oil or butter and served as a side vegetable with most meals. It is also widely used in fillings for pasta and savory pies, most famously the Greek spanakopita. 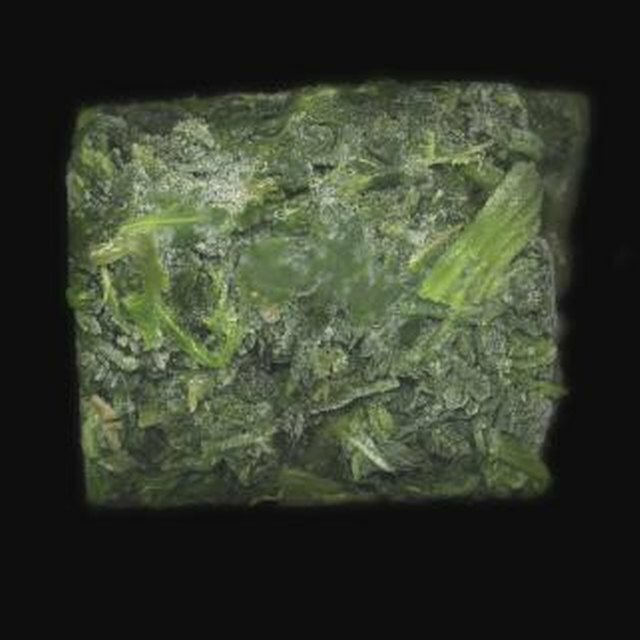 Spinach can be blanched and frozen for long storage. What Are the Different Stages in Beating an Egg White?